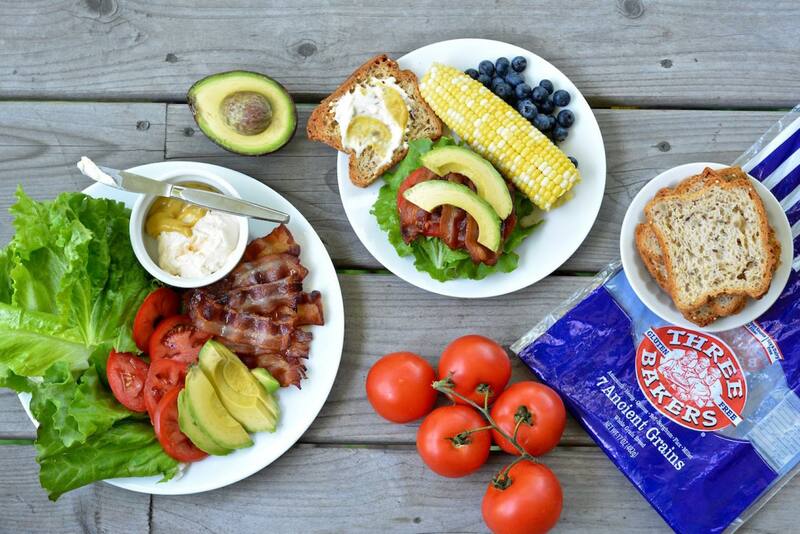 We LOVE a BLT around here. Cool crisp lettuce, crunchy bacon and vine ripened tomatoes combine into a sandwich that just tastes of summer. It is one of my favorite meals to make for my family with the first tomatoes from the garden. I like to serve ours with a big garden salad or fresh corn on the cob. The Three Bakers bread is so soft and pliable you can load up your BLT without the bread cracking. This version of a BLT sandwich adds sliced or mashed avocado for the very best BLT around. Enjoy! Slice tomatoes. Peel and slice avocados. Toast gluten free bread. Spread with mayo and mustard on bread as desired. Top one slice of bread with bacon, lettuce, tomato and avocado slices. Add second slice and enjoy!